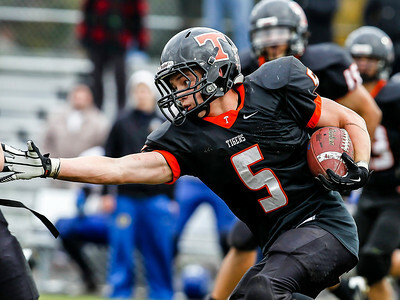 Lathan Goumas - lgoumas@shawmedia.com Crystal Lake Central's Ryan Williams runs for a first down during the second quarter of a game against De La Salle at Central High School in Crystal Lake, Ill. on Saturday, Nov. 2, 2013. De La Salle defeated Central 38-35 in double overtime. 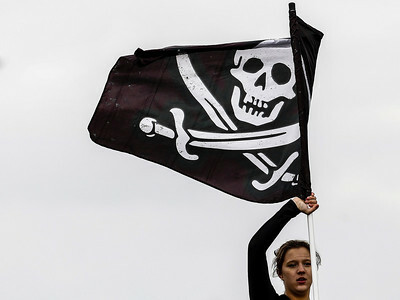 Lathan Goumas - lgoumas@shawmedia.com Central's Kevin Peisker waits for the start of a game against De La Salle at Central High School in Crystal Lake, Ill. on Saturday, Nov. 2, 2013. De La Salle defeated Central 38-35 in double overtime. 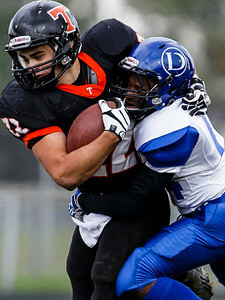 Lathan Goumas - lgoumas@shawmedia.com Crystal Lake Central's Ryan Williams is tackled by Jamarius Jennings during the first quarter of a game at Central High School in Crystal Lake, Ill. on Saturday, Nov. 2, 2013. De La Salle defeated Central 38-35 in double overtime. 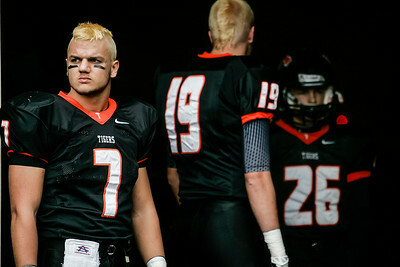 Lathan Goumas - lgoumas@shawmedia.com De La Salle players use the restroom and put on there uniforms after arriving late for a game against Crystal lake Central at Central High School in Crystal Lake, Ill. on Saturday, Nov. 2, 2013. De La Salle defeated Central 38-35 in double overtime. 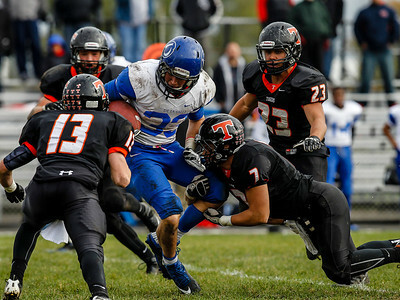 Lathan Goumas - lgoumas@shawmedia.com Crystal Lake Central's Michael Zelasco fumbles the ball as he is tackled on a kickoff return during the second quarter of a game against De La Salle at Central High School in Crystal Lake, Ill. on Saturday, Nov. 2, 2013. De La Salle defeated Central 38-35 in double overtime. Lathan Goumas - lgoumas@shawmedia.com De La Salle's Collin Farley stiff-arms Michael Zelasco of Crystal Lake Central during the first quarter of a game at Central High School in Crystal Lake, Ill. on Saturday, Nov. 2, 2013. De La Salle defeated Central 38-35 in double overtime. Lathan Goumas - lgoumas@shawmedia.com Crystal Lake Central's Ryan Williams runs the ball during the first quarter of a game against De La Salle at Central High School in Crystal Lake, Ill. on Saturday, Nov. 2, 2013. De La Salle defeated Central 38-35 in double overtime. 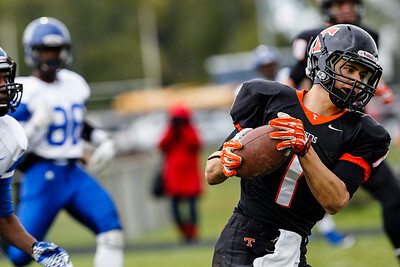 Lathan Goumas - lgoumas@shawmedia.com Crystal Lake Central's Jack Ortner catches a pass and runs it in for a touchdown during the second quarter of a game against De La Salle at Central High School in Crystal Lake, Ill. on Saturday, Nov. 2, 2013. De La Salle defeated Central 38-35 in double overtime. 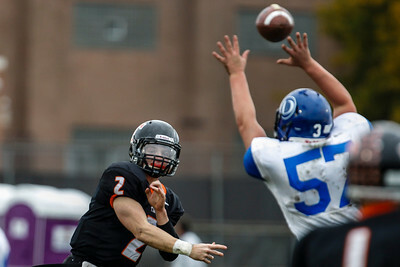 Lathan Goumas - lgoumas@shawmedia.com Quarterback Kyle Lavand of Crystal Lake Central throws the ball during the second quarter of a game against De La Salle at Central High School in Crystal Lake, Ill. on Saturday, Nov. 2, 2013. De La Salle defeated Central 38-35 in double overtime. 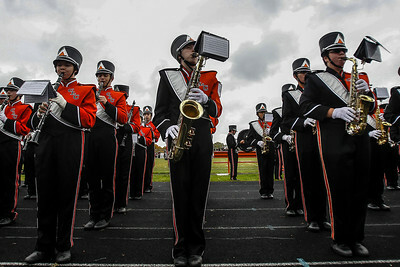 Lathan Goumas - lgoumas@shawmedia.com A member of the Crystal Lake Central flag square performs during halftime of a game against De La Salle at Central High School in Crystal Lake, Ill. on Saturday, Nov. 2, 2013. De La Salle defeated Central 38-35 in double overtime. Lathan Goumas - lgoumas@shawmedia.com Members of the Crystal Lake Central cheerleaders and dance team watch the marching band perform during halftime of a game against De La Salle at Central High School in Crystal Lake, Ill. on Saturday, Nov. 2, 2013. De La Salle defeated Central 38-35 in double overtime. Lathan Goumas - lgoumas@shawmedia.com De La Salle's Collin Farley is tackled by Crystal Lake Central's Kevin Peisker during the third quarter of a game at Central High School in Crystal Lake, Ill. on Saturday, Nov. 2, 2013. De La Salle defeated Central 38-35 in double overtime. Lathan Goumas - lgoumas@shawmedia.com The Crystal Lake Central band performs before a game against De La Salle at Central High School in Crystal Lake, Ill. on Saturday, Nov. 2, 2013. De La Salle defeated Central 38-35 in double overtime. 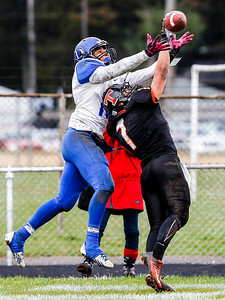 Lathan Goumas - lgoumas@shawmedia.com Crystal Lake Central's Kevin Peisker blocks a touchdown pass attempt to De La Salle's Bryce Sutherland during the third quarter of a game at Central High School in Crystal Lake, Ill. on Saturday, Nov. 2, 2013. De La Salle defeated Central 38-35 in double overtime. Lathan Goumas - lgoumas@shawmedia.com Crystal Lake Central's Brad Garber tackles Collin Farley of De La Salle during the fourth quarter of a game at Central High School in Crystal Lake, Ill. on Saturday, Nov. 2, 2013. De La Salle defeated Central 38-35 in double overtime. Lathan Goumas - lgoumas@shawmedia.com Crystal Lake Central's Brad Garber runs the ball during the fourth quarter of a game at Central High School in Crystal Lake, Ill. on Saturday, Nov. 2, 2013. De La Salle defeated Central 38-35 in double overtime. 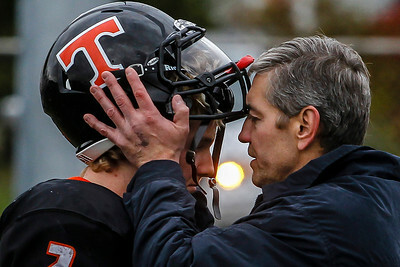 Lathan Goumas - lgoumas@shawmedia.com Ken Lavand comforts his son, Crystal Lake Central senior quarterback Kyle Lavand, after Central lost to De La Salle in double overtime during a playoff game at Central High School in Crystal Lake, Ill. on Saturday, Nov. 2, 2013. De La Salle defeated Central 38-35. 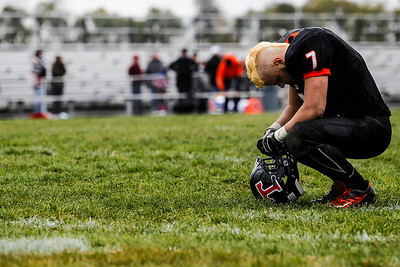 Lathan Goumas - lgoumas@shawmedia.com Crystal Lake Central's Kevin Peisker kneels in defeat after loosing to De La Salle in double overtime during a playoff game at Central High School in Crystal Lake, Ill. on Saturday, Nov. 2, 2013. De La Salle defeated Central 38-35. 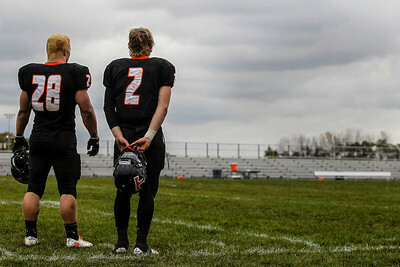 Lathan Goumas - lgoumas@shawmedia.com Crystal Lake Central seniors Connor Hines(28) and Kyle Lavand(2) look back at their field after loosing to De La Salle in double overtime during a playoff game at Central High School in Crystal Lake, Ill. on Saturday, Nov. 2, 2013. De La Salle defeated Central 38-35. 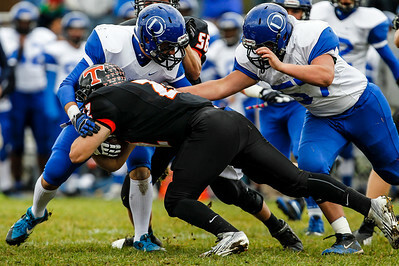 Crystal Lake Central's Brad Garber tackles Collin Farley of De La Salle during the fourth quarter of a game at Central High School in Crystal Lake, Ill. on Saturday, Nov. 2, 2013. De La Salle defeated Central 38-35 in double overtime.